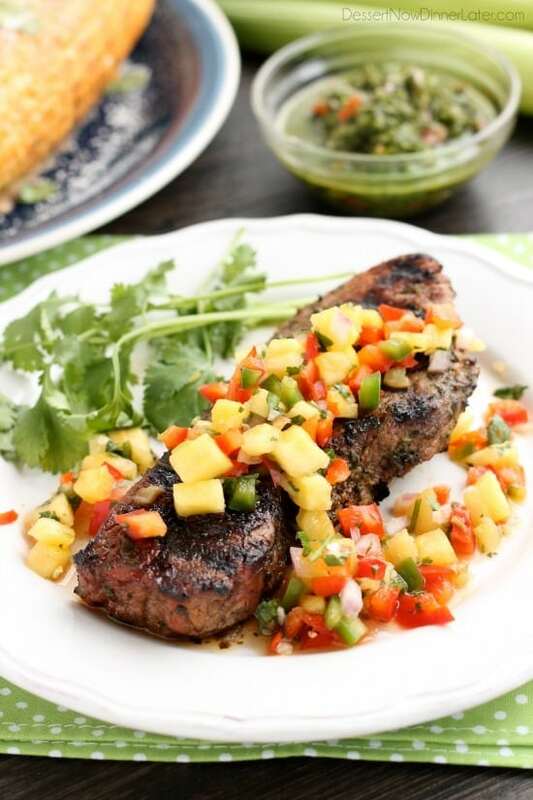 Chimichurri Steak with Pineapple Salsa - Dessert Now, Dinner Later! 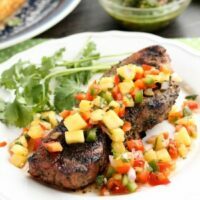 This restaurant-quality steak is marinated in an herbed chimichurri sauce, grilled to perfection, and topped with a spicy-sweet pineapple salsa. 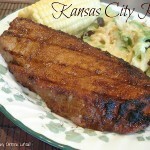 We made these steaks for Father’s Day, which shows you how long it’s taken me to get it up on the blog! Haha. Having 3 kids is chaotic! 😉 Anyway, the meat is SO flavorful! 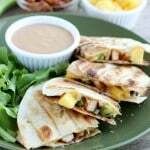 It’s marinated in a green chimichurri sauce, then grilled and topped with pineapple salsa. We saved half of the chimichurri sauce for dipping, and the combination of the steak, chimichurri, and fruit salsa was out-of-this-world bursting with flavor! This recipe uses a lot of herbs and produce for maximum freshness. We also used tri-tip steaks and marinated them overnight for optimal flavor. We were not disappointed! This is one of those recipes that you make for special occasions, but definitely put it on your list to make because holy deliciousness! These steaks were absolutely amazing! They taste like they came from a fancy restaurant, but they are fairly simple to make. 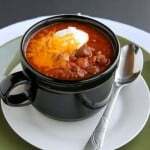 This recipe is a little bit time consuming because you have to marinade the meat and cut up the ingredients for the salsa, but it will be well worth your time. I promise! Place the chimichurri ingredients into a food processor or blender and pulse until combined. Place steaks and HALF of the chimichurri sauce into a zip-top bag. Marinade meat in the refrigerator overnight or 3 hours minimum. Refrigerate extra chimichurri sauce in an airtight container as well. Once the steaks have marinated, grill to desired doneness. 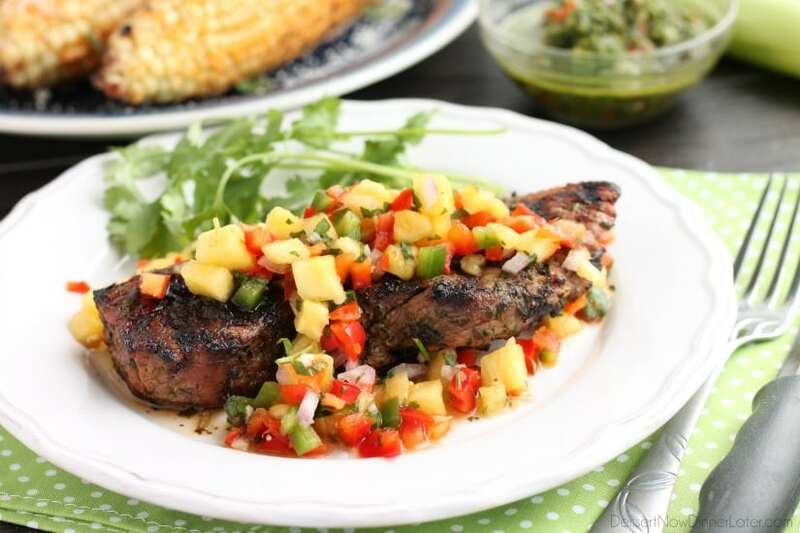 Serve steaks with pineapple salsa and extra chimichurri sauce. 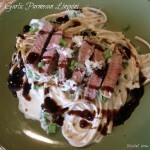 This looks like the perfect dish for any special occasion! The chimichurri sauce and pineapple salsa sound incredible together! So flavorful and delicious! It was ridiculously delicious! Thanks Kelly!